There are about a dozen parties interested in the Trans Mountain oil pipeline, but the Canadian government won’t reach a deal to flip it before a marketing deadline with Kinder Morgan Inc. closes Sunday, according to people familiar with the situation. The government’s $4.5 billion (US$3.4 billion) purchase of the pipeline and expansion project included a six-week window, to July 22, to co-market the pipeline with an eye to selling it to a third party. A quick sale would have effectively allowed the government to substitute in another buyer for the current deal to be finalized. That deadline Sunday is set to pass. The deal will be finalized with the government as the new owner, and it will seek a new buyer without Kinder Morgan’s help, amid fears of legal and political delays. About a dozen parties have signed non-disclosure agreements as part of the process for a potential resale, and the project is seen likely to end up being bought by a Canadian-led consortium, as opposed to a single buyer, the people said. The Trans Mountain sale is scheduled to close in either the late third quarter or early fourth quarter, as the project faces continued opposition from the British Columbia premier and awaits a key court ruling. Kinder Morgan’s Canadian unit didn’t respond to a request for comment. A spokesman for Finance Minister Bill Morneau declined to directly say if there’d be a sale to a third party by July 22, but said the government won’t hold the pipeline forever. Finding a third-party purchaser by the Sunday deadline would be difficult because the obstacles that Kinder Morgan cited in its threat to abandon the project still exist, said Kevin McSweeney, a fund manager at CI Investments in Toronto. British Columbia has given no indication it will drop efforts to impose additional regulations on the pipeline, and a court case over the project is still under way, he said. Third-party purchasers are likely to be attracted to the pipeline once those issues are resolved, he said. “A buyer would be reluctant to take it on for the same reasons that Kinder decided not to go forward,” said McSweeney, who helps manage $13 billion. Canada’s purchase of Trans Mountain deal was announced on May 29, and the government has already been marketing the pipeline. 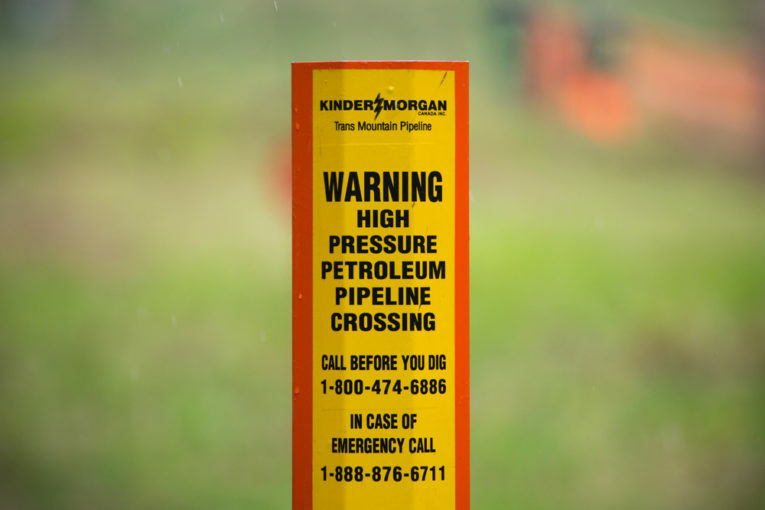 A regulatory document filed by Kinder Morgan this month has offered a glimpse of the high-stakes negotiations that led to the pipeline essentially being nationalized as Kinder balked at the political landscape. The company suspended all non-essential work and spending on April 8. Two days later, government representatives “raised the possibility” of buying a 51 per cent stake in the pipeline. Kinder Morgan then floated the idea of a 100 per cent sale, and on April 30, the company proposed a price of $6.5 billion for the assets, including the existing pipeline and the expansion project. The government responded on May 8 by presenting two alternative proposals. The first, which the government preferred, was for the company to proceed with construction relying on a government backstop. The second was to bundle the assets — with the government guarantee — and try to find a buyer. Under that proposal, if a sale couldn’t be arranged, the government would buy it for $2.3 billion plus an unspecified share of C$1.1 billion in capital spending so far. Talks continued. On May 22, the government offered $3.85 billion, a figure based on an analysis by its financial advisers, Greenhill & Co., and suggested the deal close in December. The company thought that’d be too long. On May 23, the company countered at $4.5 billion, which after capital gains taxes would be $4.2 billion. After a break of several hours, the government agreed on certain conditions, including the 6-week marketing window that elapses on July 22.